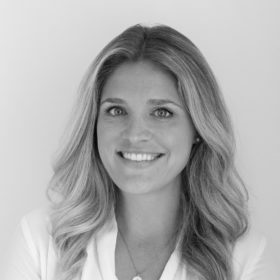 Emily Hamilton is a director at Hamilton Place Strategies, where she specializes in corporate positioning, brand and messaging development, and crisis communications. Emily leads and manages client engagements by conceptualizing and executing strategic communications campaigns across multiple policy issues. She conducts audits and analyses to inform brand posturing and advises clients on policy, media, and thought leadership opportunities. Currently, she works on telecommunications, healthcare, and technology issues, and she has previously worked on tax, trade, and financial services. Prior to HPS, Emily served as the Eisenhower Institute’s Program Coordinator, where she managed public policy programming and supported a team of five experts. Emily led research, media engagement, speech writing, and event coordination. In addition, she established the Institute’s social media presence and managed day-to-day content and digital advertising. Emily also worked as a staff assistant for a former Republican Congressman, assisting with legislative research, media relations, and office operations. Originally from the New York Metropolitan Area, Emily graduated from Gettysburg College where she studied Political Science and International Relations.